Raleigh, N.C. – Former UNC system president C.D. Spangler Jr., who passed away on Sunday at the age of 86, was remembered by Speaker Tim Moore (R-Cleveland) in remarks to the state House of Representatives this week prior to the body adjourning in his memory. 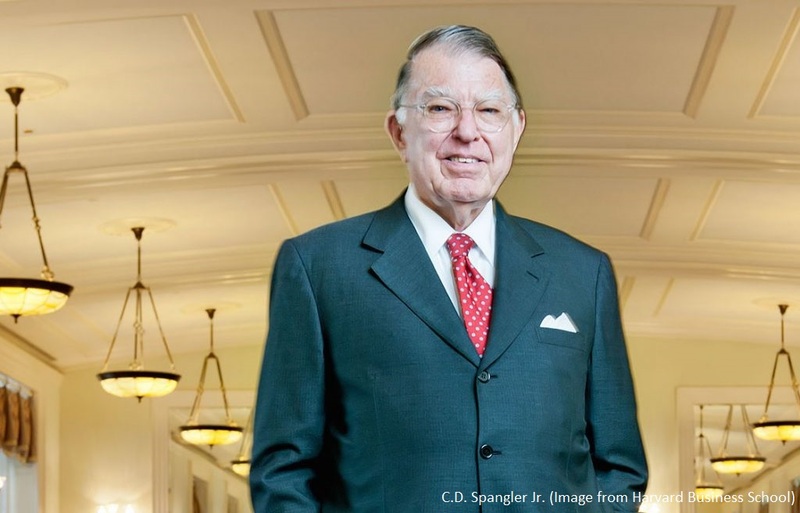 Clemmie Dixon Spangler Jr. was a brilliant business tycoon and philanthropist who led the state’s university system from 1986 to 1997. Spangler also served on the Charlotte-Mecklenburg Board of Education, the State Board of Education, and the Governor’s Commission on Education for Economic Growth. He is frequently remembered for his commitment to keeping tuition low for students in the UNC system. “I had the privilege of meeting President Spangler as a student at UNC, and then got to know him well when I was a member of the Board of Governors,” Speaker Moore said. Spangler is survived by two daughters, Abigail Spangler and Anna Spangler Nelson, and his wife, Meredith.